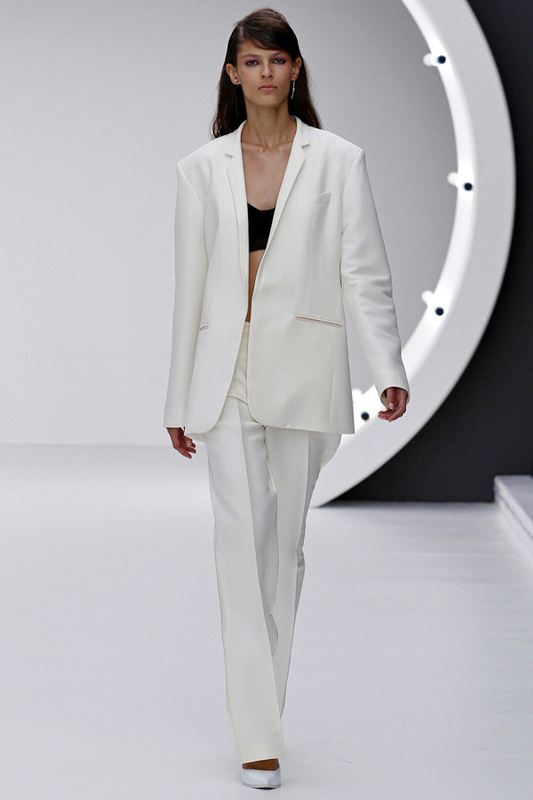 We continue covering the latest fashion collections from past and ongoing Fashion Week(s). 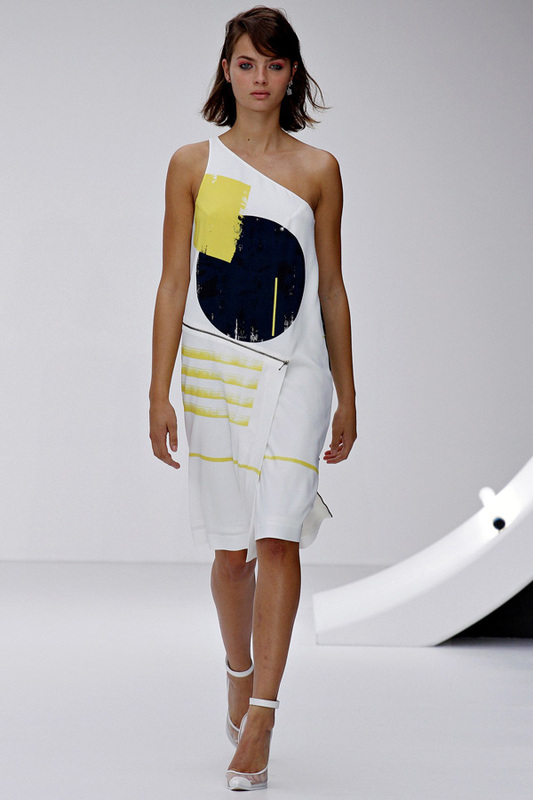 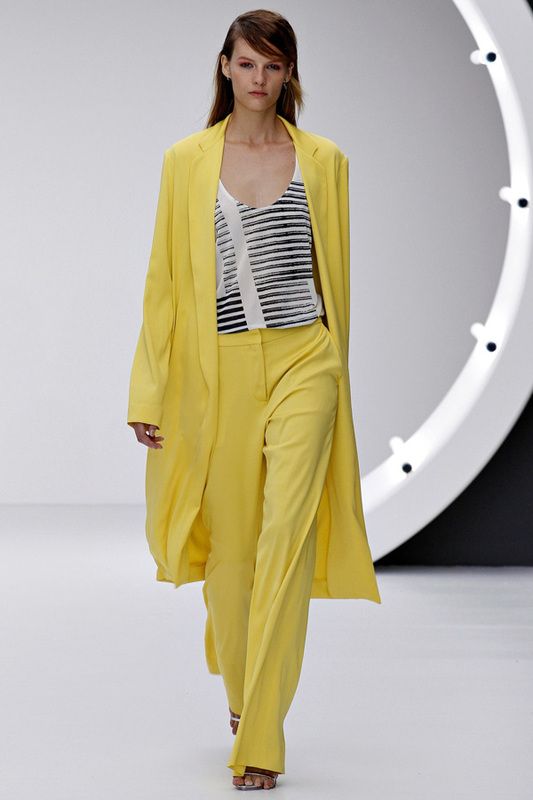 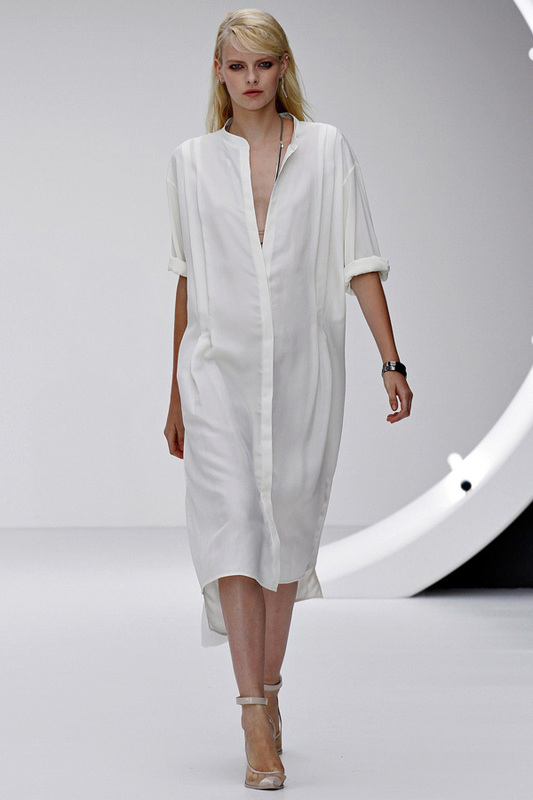 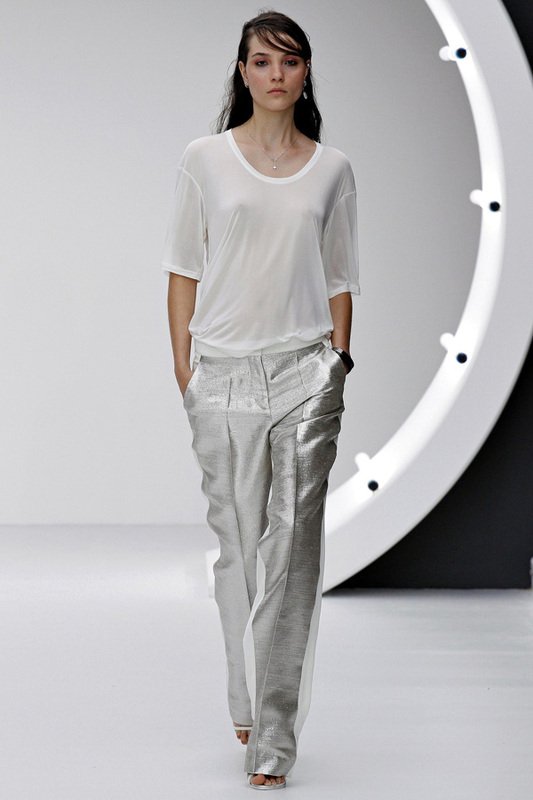 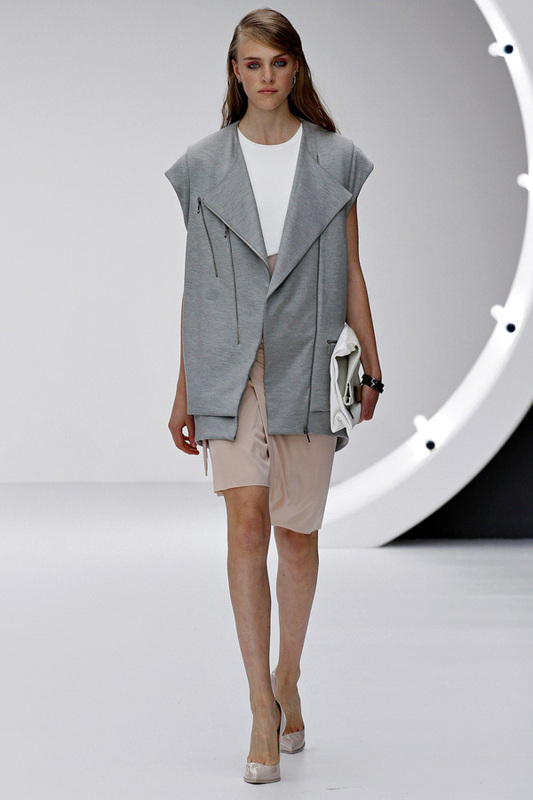 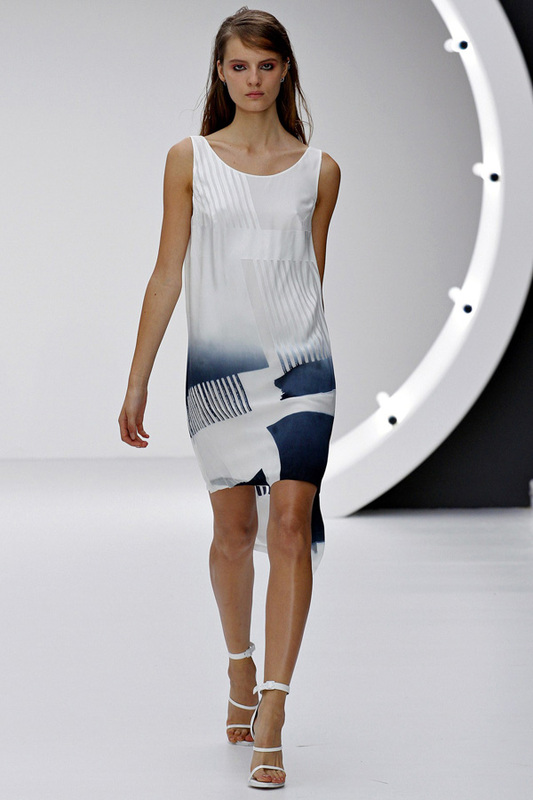 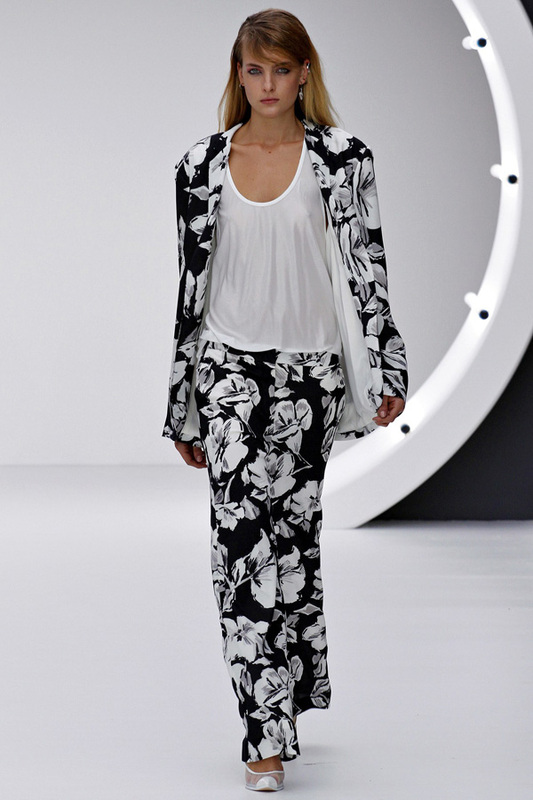 Here is a Topshop Unique Spring 2013 collection the brand showcased during London Fashion Week. 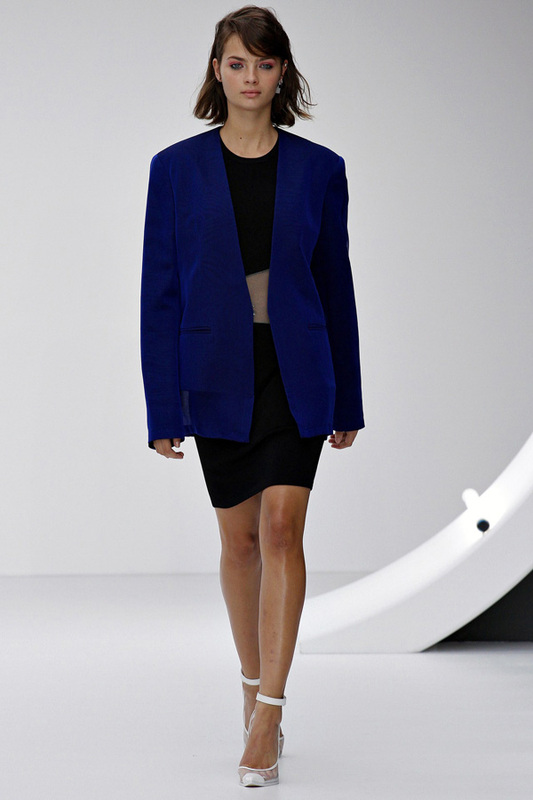 Comprised of monochromatic outfits with pops of lemon yellow, cobalt, pale pink, and metallic finishe. 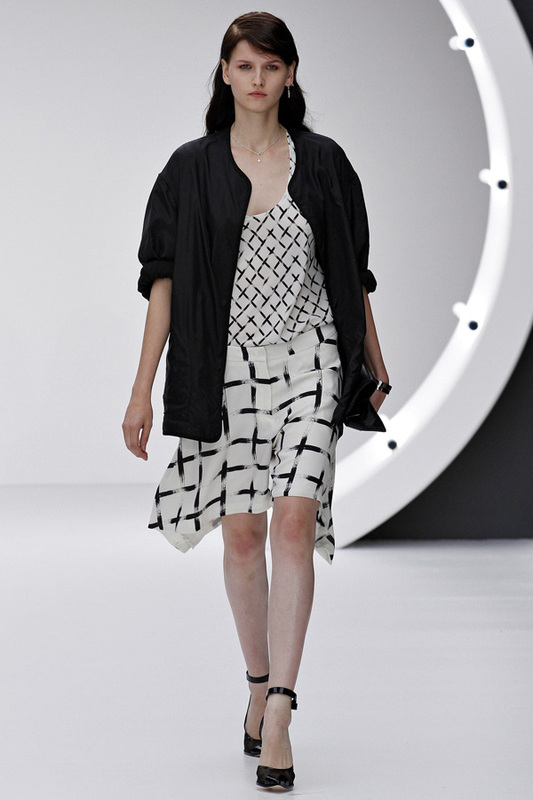 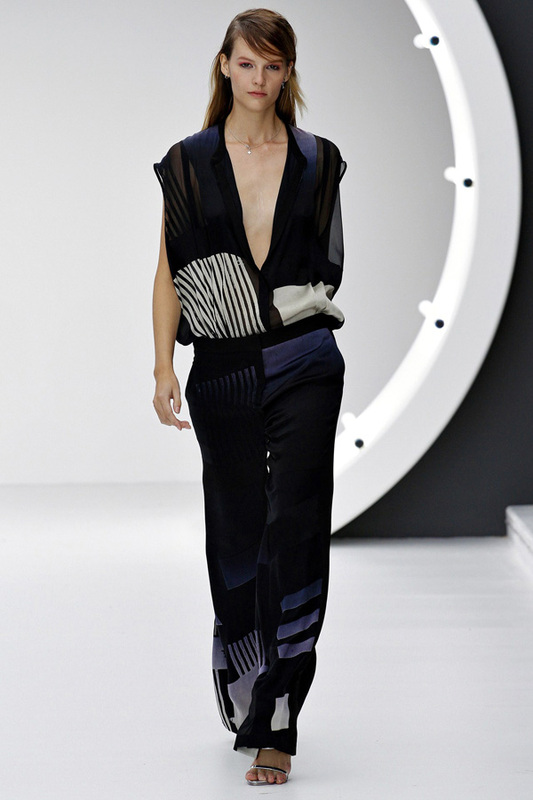 This black and white color palette appeared at many fashion shows. 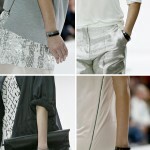 New trend? 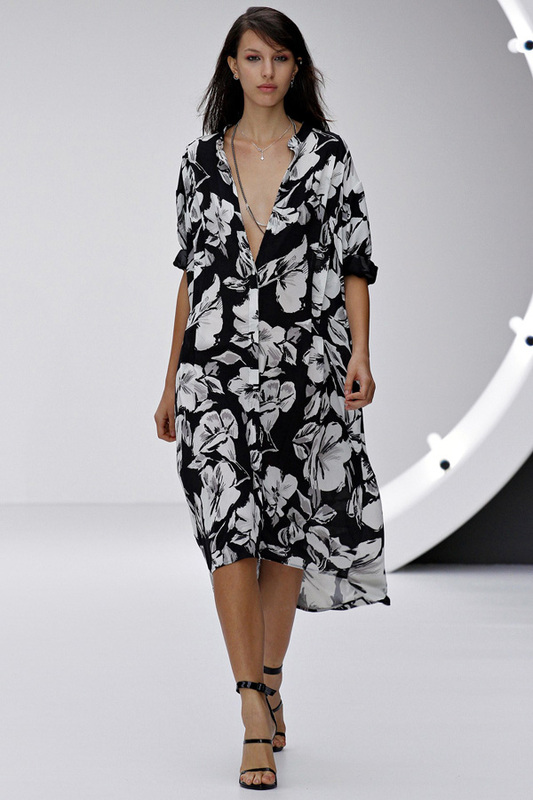 The Topshop collection includes, of course, cocktail dresses, tops and skirts as well as some pant suits, and light pring outerwear. 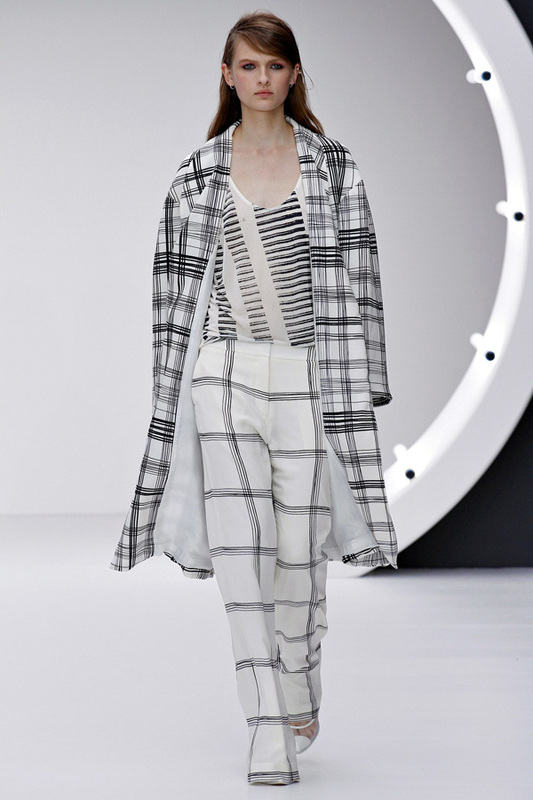 There are also prints present in some of the collection’s pieces featuring stripes, checkers, and florals. 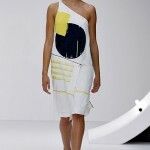 Some pieces feature sheer fabric panels with assymetric opaque fabric pieces sewn onto them. 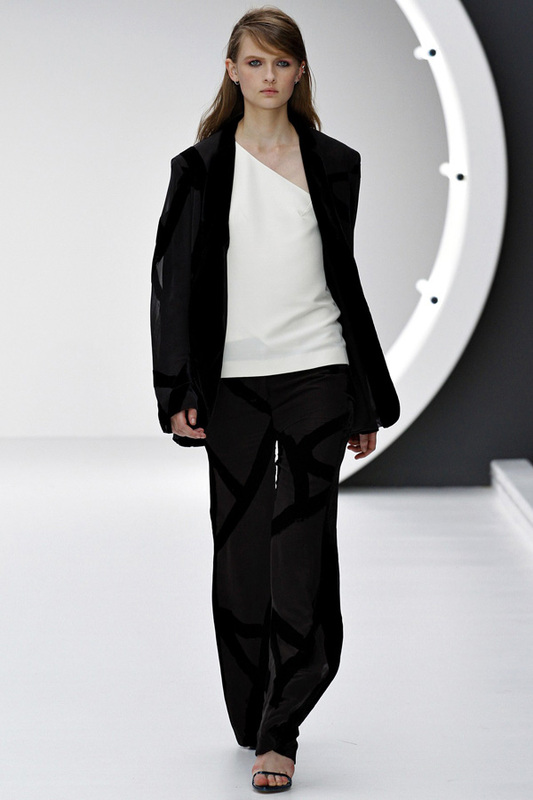 Outerwear is light but oversize as are the tops paired with slim light skirts. 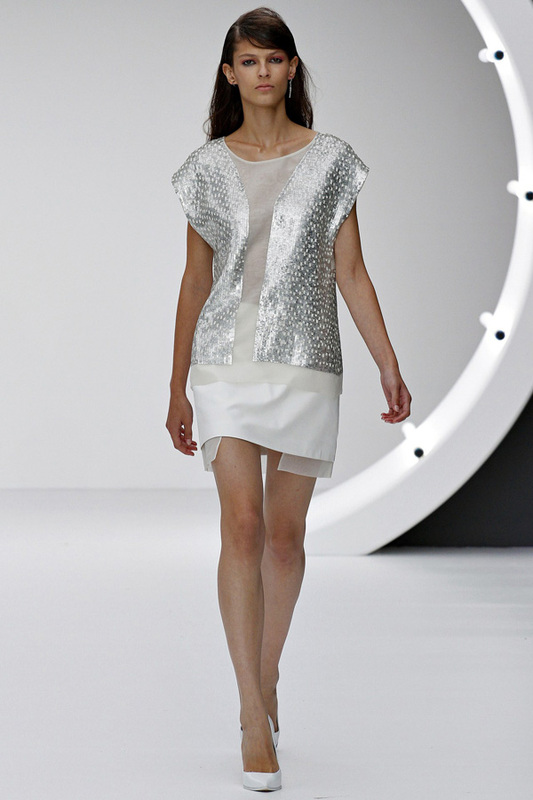 Metallics appear in party dresses, tops, and skirts combined with lightweight semi-sheer fabric. 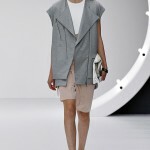 There are also fold-down clutches, metallic pumps, and sheer panel shoes in the collection. 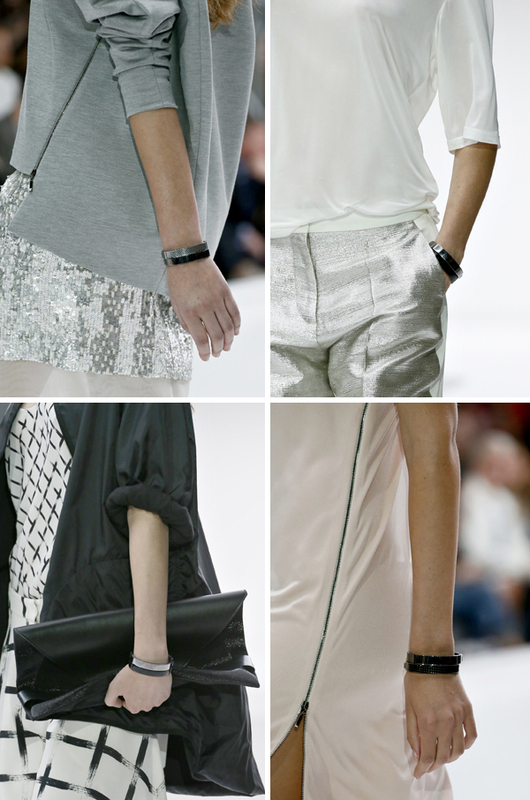 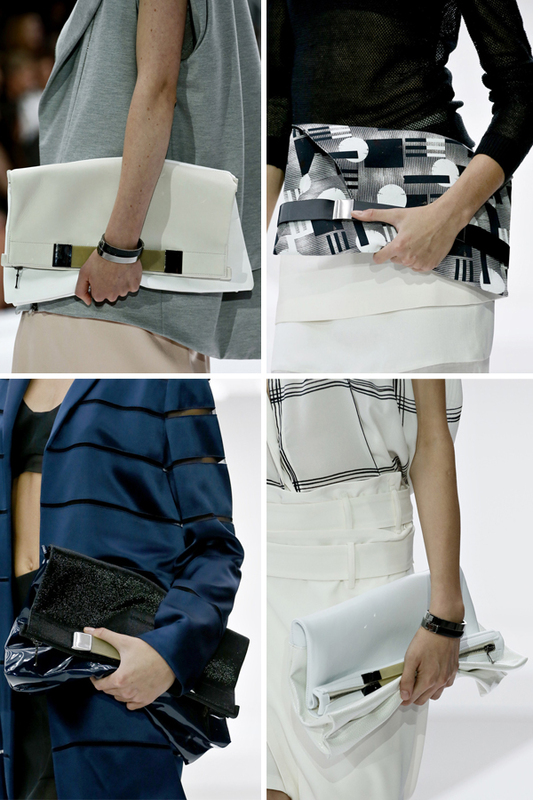 Accessories include medium bracelets that match the detailing in clutches. 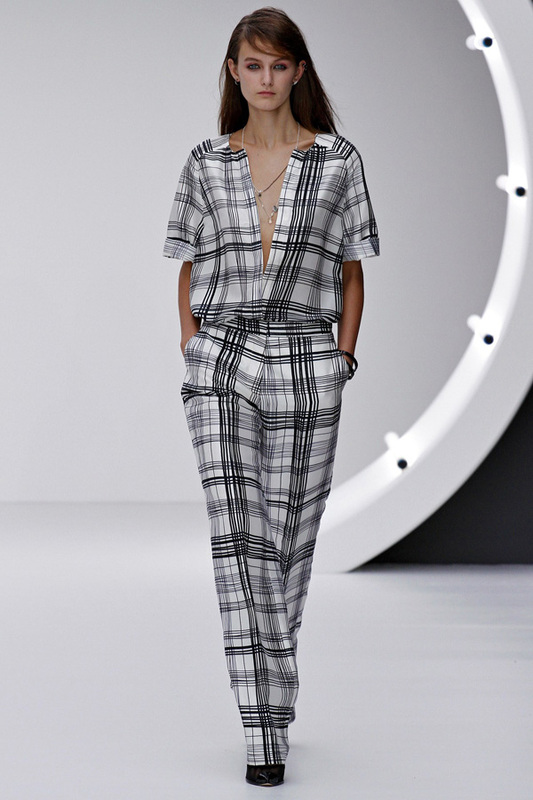 All in all the collection has cool pieces like a chemise checkered dress with a metallic thread, above-the-knee skirt with sheer hemlines, and those fold down oversize clutches.